The 1893 MHRRM issues a statement of grave concerning regarding Mnangagwa's meeting with Matebeleland civic organisations against the backdrop of a climate of heightened and accelerated human rights abuses in Matebeleland and in Zimbabwe in general as well as against the backdrop of international condemnation of such human rights violations. Such a meeting, without any neutral convener, can best be described as scandalous as well as imbued with a sense of covert and overt Gukurahundist instrumental power threats. The meeting is much ado about nothing but only a public relations exercise meant for the international community for an extraction of some semblance of legitimacy and a "signal of progress" when the opposite is true. On the very day of Mnangagwa's meeting with Matebeleland civic organizations, we observed his military government arresting a Matebele journalist in the name of Zenzele Ndebele who has and is at the forefront of further exposing the regime for its Matabeleland "Gukurahundi" Genocide of the 80s of which Mnangagwa and others in his government including Mugabe played a key and leading role. The Movement's grave concern also extends to Mnangagwa's government's heightened and accelerated pogrom of human rights violations especially in Matebeleland where farm land grabs and displacement of locals by aliens from their lands is the order of the day. We have witnessed an accelerated black imperialist pogrom of exploitation of Matebeleland's mineral resources using a web of violent alien gold panning syndicates who do the panning on behalf of their bosses up the government and security cluster leadership chain. The deployment of these Shona teachers is done against the best interests of the Matebele Child and in direct and clear violation of the 1990 United Nations' Convention on the Rights of the Child particularly Article 30 that stipulates the Right of children to their culture, religion and language among other Rights mentioned. It must be stated without any hesitation that the black imperialist pogrom of the regime is well calculated to destroy the future generations of our Nation. Our children are our future. If their languages are destroyed, our Nation is destroyed. It's a ruthless and systematic agenda meant to destroy our cultures and languages with impunity. Equally it must be stated once more that this black imperialist pogrom is well enunciated in the regimes' 1979 Shona Grandplan that defines both the whites and the Matebele as the enemies of the state of Zimbabwe that need displacing to create a Shona Superstate. The notion propagated and gleefully churned out by Jenny Williams, after that tea and biscuit meeting with Mnangagwa, that he, Mnangagwa is a "listening President", is scandalous. It is a blasphemous of Jenny Williams to try and sanitize the gory image of Mnangagwa internationally so cheaply. It makes the victims of Mnangagwa cringe at such statements. Mnangagwa and his cronies including Robert Gabriel Mugabe are the cause of the problems that face Matebeleland and the rest of that country. He came to that meeting to pretend to listen, write up some minutes and dupe the gullible that he is "listening" to things he is the ultimate cause of. 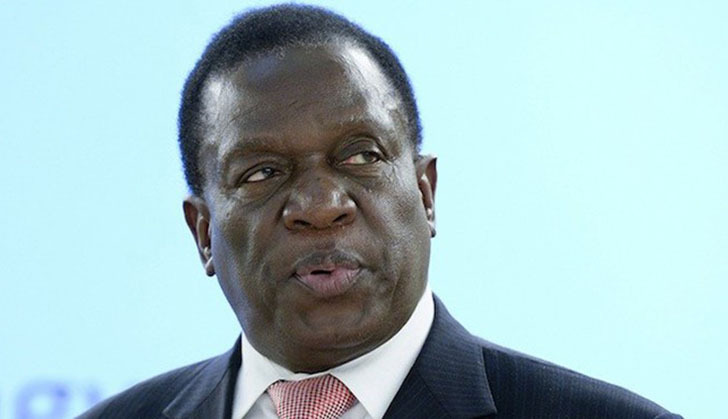 To suggest that it took Mnangagwa 38 years to be a "listener" against the backdrop of continued and relentless onslaught on the human rights of our people using the security apparatus of that country since 1980 of which he has long been a dangerous and ruthless enforcer of such a policy, is an outrage to the victims of Mnangagwa's government, both dead and surviving.